Looking for amazing winter solstice rituals for your family or homeschool? Here’s how to host a Waldorf Solstice Spiral with your homeschool or family to celebrate the return of light. *This post is republished from 2015. We no longer homeschool, but the amazing solstice rituals like this Waldorf Solstice Sprial remain one of my favorite homeschool activities ever. 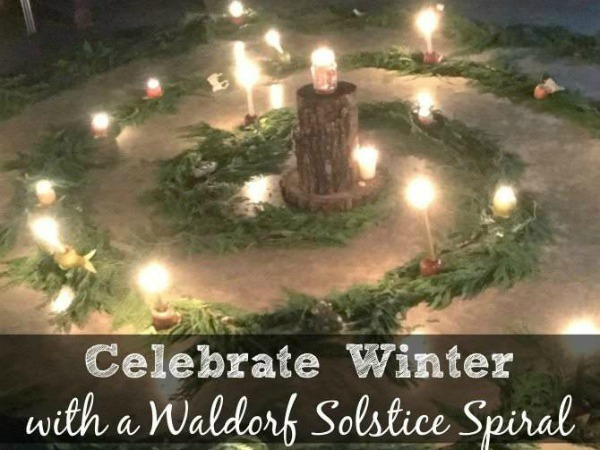 The Waldorf Solstice Spiral is an annual tradition in our homeschool. It’s a wonderful way to teach kids about the longest day of the year and it’s a fun activity everyone enjoys as we welcome the return of light back into our dreary, short winter days. Here’s how we celebrate the winter solstice Waldorf style. 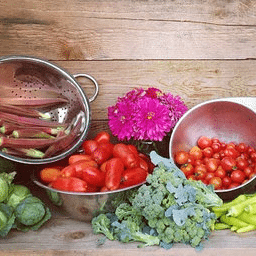 I first learned about Waldorf Homeschooling activities from my good friend Melanie from Many Hands House. She used to host amazing Waldorf Homeschool Days and the Solstice Spiral was one of my favorite activities. I was excited to take over the Solstice Spiral this year and host it myself for the first time. Since we moved out of the barn and into the Passive House, we have the perfect place to host this fun annual event – the barn where we used to live. If you’re interested in solemn winter solstice rituals, you’ll enjoy this one. The trickiest part about it is finding a safe place to house the spiral. Lit candles are involved, so you’ll want to make sure you don’t burn the house down if you host it inside. You could host it outside, if the weather cooperates. 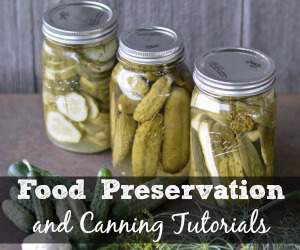 Or, you could set it up in a garage or barn like we did, if you don’t want to bring it indoors. Pine boughs – I bought roughly 100 ft from Menards. The skinnier ones were half the price of the longer boughs so that’s what I bought. We ended up doubling them to make them look nice. Candles – one per child to put in each apple, plus a larger candle to light the apple lights from. Set the spiral ring up before hand. Place felt stars (one per child) along the path so children have a place to put their lit apple. Also place the figurines, rocks, and other items in the spiral. Darken the room by covering windows and turn out the lights. Explain to the children that they will light their candles and place them on a star in silence. Discuss the solstice and and the significance of starting (and ending) the spiral in darkness. The room should be as dark as possible and the children line up first outside the room, littlest to biggest. The littlest children need to go first because there will be fewer lit candles for them to have to avoid. Then, one by one, the children weave through the spiral with their apples and candles, light their candle, and then turn around and weave back through. At some point on their exit from the spiral, each child will find a star to place his or her candle on. Talking is not allowed, but soft music can play. Melanie always had someone playing a flute, but we did our spiral in silence. Obviously, younger children may need some help, and all children should be careful not to burn themselves. In all the years that we’ve been doing a solstice spiral, we’ve never had any issues. After each child lights his or her candle, they wait for everyone to finish. Then the children leave the room, still in silence. I’m always amazed at the reverence the children exhibit during the solstice spiral. They take it quite seriously and seem to enjoy it a lot. The winter solstice spiral is one of my favorite homeschooling activities. I love that it represents the return of light – after the solstice the days start to get longer and the promise of spring is real. I look forward to the beauty of solemness of the winter solstice spiral all year. Labeled the most popular tourist attraction in Iowa by Time Magazine and TripAdvisor The Iowa 80 Trucking Museum is a fun stop if you’re driving across Iowa on Interstate 80, or happen to be in the area. It’s also a free museum (donations happily accepted), so there’s no reason to skip it! I was happy for the diversion earlier in the week at the Iowa 80 Trucking Museum in Walcott, Iowa! We drive by this place all the time and I never even knew it was there. But it was really quite neat. Not at all what I expected, but very neat nonetheless. Let me give you a quick tour of some of the things we enjoyed most. An electric milk truck from the turn of the century – it delivered fresh milk in Chicago for many years. Why could they succeed with electric trucks in the early 1900s but we can’t figure it out today?? A US Mail truck on skis… 😉 I love to ski. This really cracked me up. THE wrecker from the movie Fried Green Tomatoes! I don’t really remember the movie much, but it’s still pretty cool, eh? Three of my super cute children. I can’t resist an opportunity to show them off! I can’t believe how big they’re all getting!! If you’d like to pop in to the Iowa 80 Trucking Museum, their summer hours (from Memorial Day through Labor Day) are Monday – Saturday 9 am – 5 pm, and Sundays noon – 5pm. In the winter, they’re closed on Mondays and Tuesdays, otherwise the hours are the same. I appreciate museums like the Iowa 80 Trucking Museum. My small children enjoyed it, I enjoyed it, and it is free if you can’t give a donation. I’m sure everyone has times in their lives when they could use a little free entertainment. This is a fun place to go. Make sure you stop by. Looking for more attractions in Iowa? Here are some of our favorite places to visit.